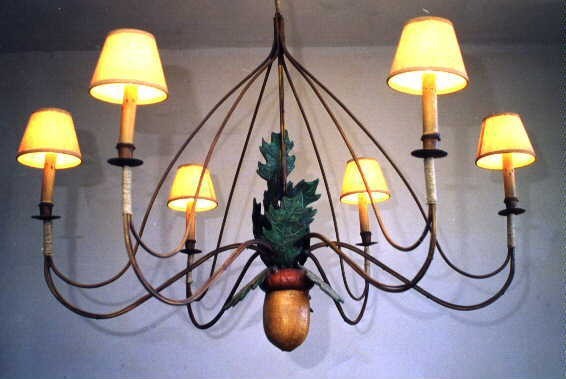 Description: Our classic acorn chandelier. This chandelier comes with six 60 watt lights and a single large resin acorn. This item does not come with shades but they are available upon request. Metal& resin. Also in 60"wide x 46"h size for $1,750.